Filming is underway on the “Bachelor” (two dates have been filmed with the third coming today) and already a couple things are a bit different about this season. I’ll get to those in a moment. Something that isn’t different is a lead who has zero interest in marrying the final girl he chooses. I know I say that every season and that’s because, well, it’s true. And this season is no different. Since the second he applied for Becca’s season, Colton’s ultimate goal was to increase his brand recognition and bring attention to his charity. It’s very well known in “Bachelor” circles since he’s openly told people this. As has his family. You’re just gonna have to trust me on that one. But, does it take away from covering the season, making fun of it and spoiling it? Absolutely not. Probably will make it that much more fun since this charade that Colton’s gonna have to put on to try and convince people he’s actually looking to get married off this thing is quite a big one. I also think the producers are well aware of Colton’s intentions so they just have to craft a season around that, which they’ve managed to do numerous times. That won’t be hard. -Hannah Brown and Hannah Godwin (both from Alabama) competed in Miss Alabama 2017 versus each other. You can read that here. -Annie Reardon and Hannah Brown attended the University of Alabama at the same time and were in rival sororities. Hannah was an Alpha Chi and Annie was a Phi Mu. Been told that the two of them definitely know who the other one is. No bad blood or anything, and they’re not BFF’s either, but they know of the other one. -Not sure if Annie Reardon and Hannah Godwin know of each other. -There are two other women that I haven’t released yet who both attended the same college together and one of them was following the other on Instagram before the show even started filming, so looks like they know each other somehow. Just kinda strange since we’ve never seen this happen this much before. Something to keep an eye on if the show pits friends, or maybe even enemies, against each other. So needless to say, Hannah Godwin will be a major player this season. However, that first impression rose on the “Bachelor” is basically the kiss of death. Judging by past seasons, you can pencil in that she probably WON’T win now, as none of the last 10 first impression rose recipients on the “Bachelor” have ever won, and only 3 of them even made it to the final 4. It’s the “Bachelorette” where the first impression rose has made a big deal since the last four recipients have all gone on to win. But Hannah is for sure going to be a name Bachelor Nation will be talking about for a while going forward, you can guarantee that. Production: So Colton, who are your top 4 or so picks? Colton: Which ones have the most social media presence and biggest following? Production: Well, Contestant A, Contestant D, Contestant G, and Contestant L.
Colton: Okay, those are my top 4. This is the first season where I have actually deleted The Bachelor’s season pass from my DVR. I’m not going to waste precious recording space on this show. Reading the spoilers will be enough for me. Steve, your website is so messy can’t find anything! Was trying to see if you have updates on the rest of the women – can’t find your “Colton’s women” link. 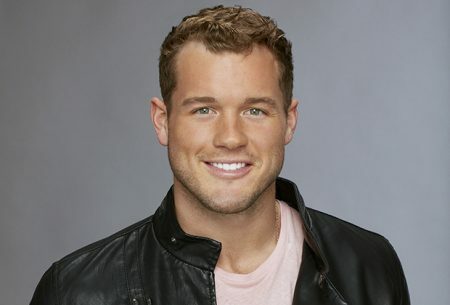 Bachelor link goes to Ben’s season. 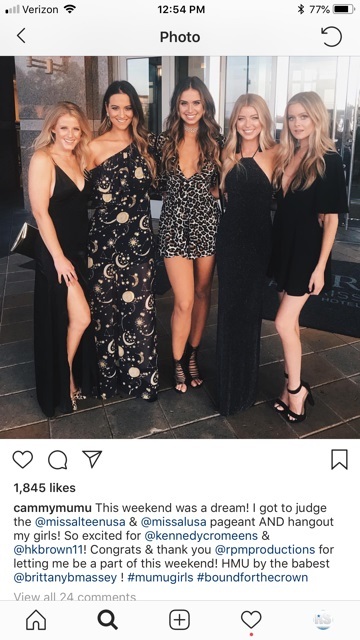 Spoilers go to Kaitlin/Brit bachelorette season. There’s so much old junk!!! Can we just let the Jenna story die a tortured death? That is really getting old. I never cared about Jordan and Jenna in the first place. Wasn’t their relationship the most superficial relationship in the history of the franchise. Ever? @rob, you should know better! Lol RS is like a dog with bone when it comes to a story he’s exposed! My cousin graduated from Bama just this past May and was in a sorority as well (neither of the 2 listed however). Now I’m really curious if she knows of either of these girls and what the scoop may be on them! I felt compelled to comment today about the He Said, She Said podcast. The first half, I was laughing along with you and nodding my head. Fantastic advice and support all around. The second caller though, woof. I was literally yelling out loud during my commute as I was listening since I so strongly disagreed with your POV. As a listener, I was very confused about the negativity directed towards her husband. This is a man who has been a free spirit his whole life, it is how he was raised. It is unrealistic to expect someone to change who they are at their core. It is unrealistic to expect people to react exactly how you want them to. From my perspective, he was/is doing everything he could and in his power to give her the life she wanted. She left the working world, and supporting their family financially is squarely on his shoulders. She demanded they move to their current location (which he did for her), and then later in the podcast is essentially holding their current location against him as a reason why she can’t go back to work (since it’s an expensive place to live). She said he recognizes that his traveling is not working and that he also wants to get a job where he doesn’t have to travel. He can not just quit to find said job, when he is the sole provider of their family! That is a tremendous responsibility that I feel was completely disregarded in your advice to her. Additionally, I was surprised to hear you recommend she leave him. If he turned around and took her to court, I think he’d have a compelling case to win full custody of the children. Right or wrong, he is the sole provider and she has a history of attempted suicide. I think a judge would strongly consider those facts when making a ruling. Sorry guys, just feel like you were extremely one sided in that conversation and not fair at all to both parties. Agree newyorkash! Ashley does that a lot. She expects people to react exactly how she wants them to and gives bad advice based on that. And Steve is like Ashley’s lap dog and just goes along with whatever she says. Ashley isn’t as smart or wise as she thinks she is. This is why I won’t listen to any podcasts with her in it. She is way too closed minded. I hope Steve realizes this and quits the kissing up. Yeah, I agree with the others, Ashley comes across so poorly on the podcasts. I’ll probably stop listening to the He said/She said. To me, the problem is that Ashley and Steve don’t have children and have never experienced the specific problems the caller is dealing with. As a result, they can’t view the situation from the spouse’s perspective and understand the challenges he faces to support this household on a daily basis. Their advice reflects their limited life experience. The real mystery is why someone who’s suffering from Depression and is suicidal would be calling Reality Steve. She should be seeing a therapist or calling a mental health hotline, not calling a reality dating site. They should be taking calls from girls whose guys cheated on them with their BFFs, or girls who slept with their BF’s brother! But what really bothers me is the way some young women, including Ashley S., talk with their voices rising after almost every sentence as if it were a question, but it’s not a question? “That’s really bad that he gave you herpeees?” “If he has OCD, it’s going to be hard for him to acccccept?” It actually suggests insecurity on the part of the speaker. It drives me nuts and don’t get me started on the vocal fry. Kat Hurd was one of the most extreme; it was painful to my ears!